La Grange became the late Nelson Mandela’s typist during his presidency (and his personal minder after he stepped down), at a time when she was skeptical of this new multi-racial country once ruled by white Afrikaners, her people. It took many years of dedication, loyalty, expediency even and soul searching to chip away at her naive racial prejudices. La Grange’s closeness to Madiba, gives us an insight – even though the details are discreetly left out – into this famous man’s world: his personal quirks and dislikes. He expected people to be honest and treated everyone with the same courtesy and respect. He was the only person in the world to get away with calling the British Queen by her name, Elizabeth. “Oh, Elizabeth, you’ve lost weight,” he once said to her. There are many accounts of trips abroad where Mandela was shameless in courting wealth, celebrities and royalty, a tactic employed by most politicians today one should add. Despite the criticism he received in the media for this, Mandela was on a mission: to help his fellow citizens who for so long had been denied the very basics in life. Celebrities helped raise public awareness about HIV/Aids, and from the wealthy he raised funds for worthy causes, like educating children. La Grange’s journey, so far, has been one of sacrifice – intermittent loveless relationships, sacrificing marriage and having children – and in the end losing Nelson Mandela and being excluded by his family even though she was the closest person to Mandela next to his wife, Graca Machel. Her memoir is an unsophisticated but raw and authentic account of her experiences and feelings, which ends with a lump-in-the-throat: the details of Mandela’s gradual decline in health are sad, how members of his own family and party (the ANC) took advantage of his weakened state of mind, inter-familial jostling for power over his legacy, and her banishment from attending the funeral of her boss. After such devotion and love, la Grange’s faith in humanity was put to the ultimate test as she faced the reality that her close relationship with the world’s most revered man, threatened members of his own family. The book is published by Penguin and translated into nine languages across the world (and will possibly be translated into Chinese). It has been distributed in 11 countries (12 if China gets counted), and is available as an Audio book worldwide. 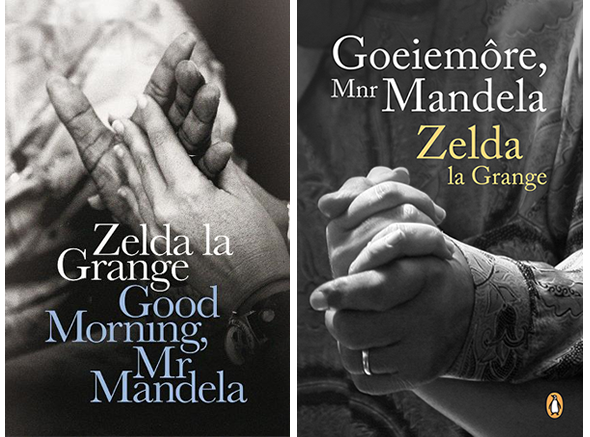 Zelda la Grange’s book, ‘Good Morning, Mr Mandela’ has become a bestseller in South Africa, according to published figures released by Nielsen on book sales. Since June her book has sold 11 000 copies per month worldwide and in South Africa alone it has sold more than 50 700 copies. The Afrikaans version has sold 20 000 copies. La Grange takes a percentage of the sales, which so far amounts to R15m before tax. According to la Grange she will receive between 8-10% of total sales. (The standard rate to authors is usually between 12-15%.) A percentage of her sales will be donated to the Nelson Mandela Foundation.